General Atomics Aeronautical Systems (GA-ASI) has announced the successful first flight of its new Avenger Extended Range (ER) aircraft, an extended range version of its multi-mission jet-powered Predator C Avenger unmanned aircraft system (UAS) which has accumulated over 13,000 flight hours to date. The flight occurred at the company’s Gray Butte Flight Operations Facility in Palmdale, California. With an increased wingspan of 76 feet and 2,200 pounds of additional fuel, Avenger ER extends the legacy Avenger’s endurance from 15 hours to 20 hours. The RPA provides an optimal balance of long loiter Intelligence, Surveillance, and Reconnaissance (ISR) and precision-strike capability, supporting a wide array of sensors and weapons payloads to perform ISR and ground support missions. 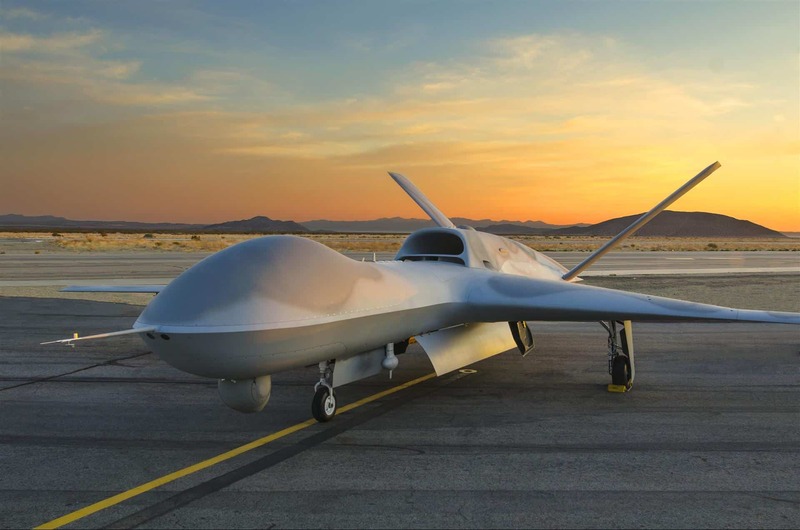 Like the legacy Avenger, Avenger ER features avionics based upon the combat-proven Predator B/MQ-9 Reaper, has a 44-foot long fuselage, 3,000-pound payload bay, and is capable of flying at over 400 KTAS. Avenger ER, along with its predecessor, is designed to carry payloads such as the all-weather GA-ASI Lynx Multi-mode Radar, the MS-177 Electro-optical/Infrared (EO/IR) sensor, and the 2,000-pound Joint Direct Attack Munition (JDAM). GA-ASI developed Avenger on Internal Research and Development (IRAD) funds with the intent of making a RPA that has a quick-response, armed reconnaissance capability. First flown in April 2009, the aircraft’s fuselage was extended by four feet in 2012 to accommodate larger payloads and fuel. Avenger received a FAA-issued Experimental Certificate (EC) in 2016, enabling it to operate in the U.S. National Airspace System (NAS).